Each spring, Seattle comes to life as thousands of cherry trees blossom into bursts of pale pinks. Our Cherry Blossom Seattle Guide explains why those trees matter, and where to see them. What’s the best gift you’ve ever given? It’d be pretty darn hard to top Japanese Prime Minister Take Miki’s generous donation of 1,000 cherry trees to the city of Seattle in 1976—what a love letter! Prime Minister Miki’s gift was meant to commemorate America’s bicentennial, and the enduring friendship between the people of Japan and Washington State. The gift wasn’t the first of its kind for the city, either. Japan had given cherry trees to Seattle in the early twentieth century as well, and there are thousands of the trees around the city. 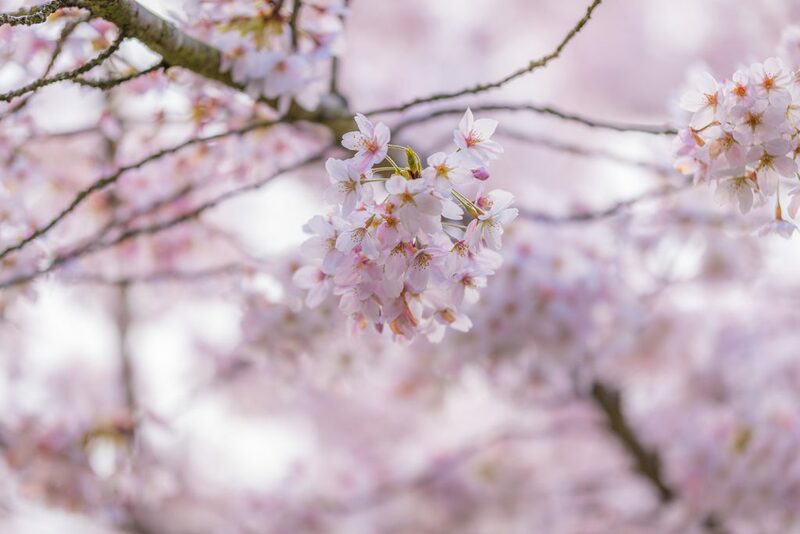 Each year in April, Seattle has honored its friends across the Pacific with a host of cherry blossom festivals across the city. Hamami, cherry blossom viewing, is an absolute “must” if you’re spending time in the city in the Spring. One longtime favorite is the Seattle Cherry Blossom & Japanese Cultural Festival at the City Center Armory. 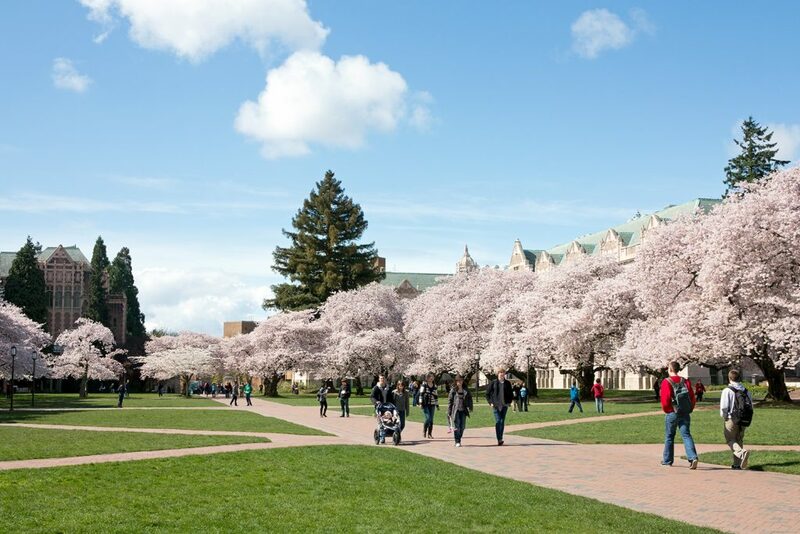 Some of our favorite places to enjoy the buds are at the quad at the University of Washington (pictured), Washington Park Arboretum and Seward Park. At the latter, gorgeous cherry trees line the lakeside paths, making for a scenic picnic option. Many of the festivals held around the city also offer visitors the opportunity to learn more about other fascinating Japanese traditions, like the 6th-century art of ikebana—ritualized flower offerings—and shodo, Japanese calligraphy. Enjoy Prime Minister Miki’s gift by spending an afternoon picnicking in a cherry tree-lined park, or by spending some time at the Japan America Center. Both activities are an excellent way to give thanks for yuujou—friendship. Want to visit Seattle in time for the cherry blossoms? Book with Pan Pacific Seattle to stay in the heart of the Emerald City, and check out our blog for more recommendations on what to experience, from the city’s best parks to its most beautiful design stores.